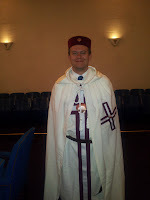 I was honored today to be initiated into Tahoma Chapel #30 of the Commemorative Order of St. Thomas of Acon. I was the exemplar candidate and am humbled by the experience. 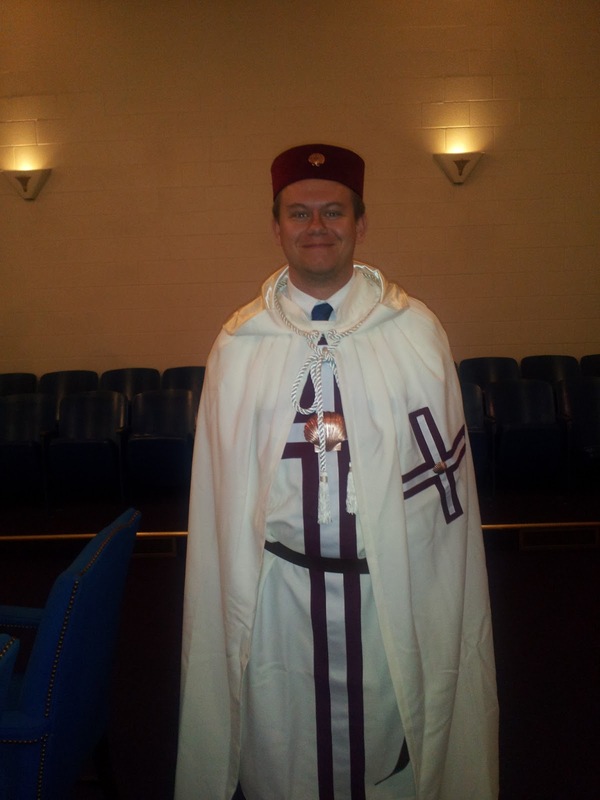 I, along with the other newly initiated, watched as to how elections and installation occurs within the Order, and I wish to give my best to the newly installed Worthy Master. After the meeting we had a nice dinner and some wine. It was good to see all of my Brothers from Oregon and Washington, but I'm ready to relax. Now to finish some school work as Spring Break is coming to a close for me. Earlier in the day Tahoma College #197, York Rite Sovereign College of North America, met and it was the first time I ever visited another College. It was nice to sit on the sidelines. Just as we did in the St. Thomas meeting, we had the three heads of the Washington York Rite in attendance along with the Grand Governor of Washington. First off, thank you. Second, this information is from first hand experience with this group.